Under Maryland law, a money judgment expires 12 years from the date of entry or at the most recent renewal. Prior to expiration, the judgment holder may renew the judgment for another 12-year period. If a judgment expires, the lien established by the judgment likewise terminates. If the judgment debtor maintains property in a county other than where the judgment was entered, the judgment creditor will record a copy of the judgment in the second county to establish a lien against the property. When a creditor records a judgment in multiple counties, one might expect that this could complicate the judgment’s expiration period. A recent decision from the Maryland Court of Special Appeals, however, held that the 12-year expiration period runs from the entry (or renewal) of the original predicate judgment regardless of whether the creditor later recorded the judgment in other counties. In this case, the judgment creditor obtained a judgment in the United States District Court for the District of Maryland in 2002. In 2004, the judgment creditor recorded the federal judgment in the Circuit Court for Howard County. The Howard County case remained dormant until 2015, when the judgment creditor filed a notice of renewal. In 2016, the judgment debtor moved to vacate the renewal, arguing that the predicate federal judgment had expired and, thus, the lien as recorded in Howard County likewise expired. The Court of Special Appeals overruled the trial court and agreed with the judgment debtor, drawing a crucial distinction between the entry of a judgment and the recording of a lien. The Court reasoned that after the original predicate judgment is entered, subsequent recordings are not new judgments subject to a separate 12-year expiration period. Instead, a judgment creditor is merely recording a lien (derived from the predicate judgment), which is not subject to Maryland rules governing expiration and renewal of judgments. Thus, the Court held that if the predicate judgment expires without timely renewal, subsequently recorded judgment liens likewise expire, regardless of the date the lien was recorded. In light of this decision, creditors with Maryland judgments should review their records and ensure that their renewal reminders are tied to the original predicate judgment and not any subsequently recorded liens. Please contact Bryan Mull with any questions concerning this topic. It is not unusual in commercial loans for the borrower’s note to require payment of a “make-whole” premium, in addition to principal and interest, when the loan is voluntarily paid before the maturity date. Also known as a prepayment premium, a make-whole premium is intended to compensate a lender for the loss of future interest if its loan is paid before maturity. In a recent bankruptcy case, the United States Bankruptcy Court for the Southern District of New York decided whether a lender was entitled to payment of a $3.1 million make-whole premium in addition to the balance due of principal and interest. Prior to bankruptcy the lender’s predecessor made a $25 million loan that was secured by a hotel. Under the terms of the note, the lender was entitled to a “Yield Maintenance Default Premium” based on a specified formula. The note further provided that any payment made after an event of default was a “voluntary prepayment” requiring the payment of the premium. 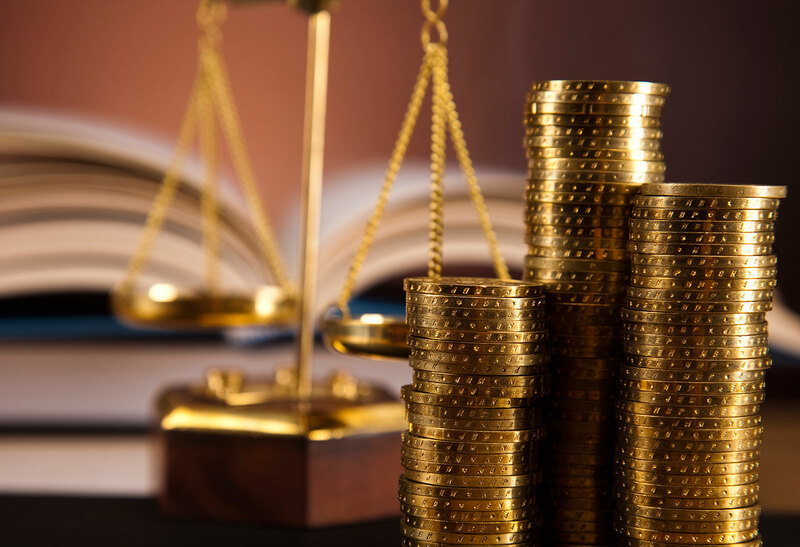 The debtor objected to payment of the premium on the basis that it only is payable as a result of a borrower’s voluntary payment prior to maturity, as opposed to payment due by acceleration of the loan after default. Both parties moved for summary judgment on this issue. Ruling in favor of the lender and applying New York law, the Bankruptcy Court held that a make-whole premium is payable following acceleration as a result of default if the terms of the note so provide. According to the court, the premium should be analyzed as a liquidated damages provision which is valid (under New York law) if “actual damages are difficult to determine”, and provided “the sum is not ‘plainly disproportionate’ to the possible loss.” Since the terms of the note clearly required payment of the premium and the debtor presented no evidence on the plainly disproportionate issue, the court concluded that the premium must be paid. The court’s decision highlights the need for loan documents to be clearly worded if a lender wants its borrower to pay a make-whole premium after a loan is accelerated as a result of default. Note that the court did not address other issues that have been the subject of recent court decisions including the issue of whether the Bankruptcy Code prohibits payment of a make-whole premium because it is for unmatured interest due at the time of bankruptcy. For further information, please contact Lawrence D. Coppel. In January 2017, we reported on a decision from the 9th Circuit Court of Appeals, which addressed the definition of a “debt collector” under the federal Fair Debt Collection Practices Act (FDCPA). The 9th Circuit had rejected reasoning from the 4th Circuit and the 6th Circuit by holding that a trustee was not a debt collector under the FDCPA when it initiated a non-judicial foreclosure because the actions of the trustee served only to enforce a security interest and were not viewed as attempts to collect a debt. At the time, this 9th Circuit decision was the outlier; but today, based on a recent United States Supreme Court unanimous decision, the conclusion by the 9th Circuit appears to have been correct. In its March 20, 2019 opinion, the Supreme Court held that businesses, like law firms, which conduct non-judicial foreclosures are not “debt collectors” under the general provisions of the FDCPA. The definition of a “debt collector” under the FDCPA is “any business the principal purpose of which is the collection of any debts, or who regularly collects or attempts to collect, directly or indirectly, debts….” See 15 U.S.C. § 1692(a). The Court noted that, standing alone, this definition would mean that law firms conducting non-judicial foreclosures would be debt collectors so long as they regularly engaged in such foreclosures. However, the Court also noted that the FDCPA further states that “for the purpose of section 1692f(6),” a debt collector “also includes” any business “the principal purpose of which is the enforcement of security interests.” The Supreme Court stated, “[t]his phrase, particularly the word ‘also,’ strongly suggests that one who does no more than enforce security interests does not fall within the scope of the general definition [of debt collector].” In other words, if businesses conducting non-judicial foreclosures were subject to the general provisions of the FDCPA, then the additional sentence subjecting them only to responsibility under section 1692f(6) would be rendered “superfluous.” Please contact Robert Gaumont if you have any questions about this topic. The laws that apply to credit extensions in Maryland can be confusing. The Sixth Edition of our booklet entitled “A Survey of Maryland Laws Relating to Extending Credit and Consumer Financial Services” is now available on our website. This newest edition reflects changes to Maryland consumer lending laws effective January 1, 2019 as well as changes to related Maryland laws in 2018. Please contact Margie Corwin or Christopher Rahl if you have any questions.